Contains Organic Turmeric & Ginger for their Anti-Inflammatory Properties. Curcumin is the anti-inflammatory compound in both Turmeric & Ginger. Delicious Blend With Added Black Pepper to increase absorption. 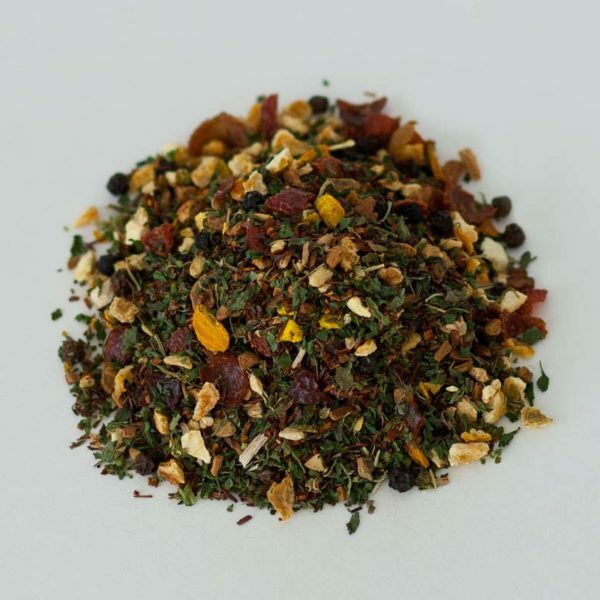 Lemon Peel & Orange Peel add a citrus-y note and the warmth of cinnamon, and Nettle leaf has been used for centuries for joint discomfort and joint health. 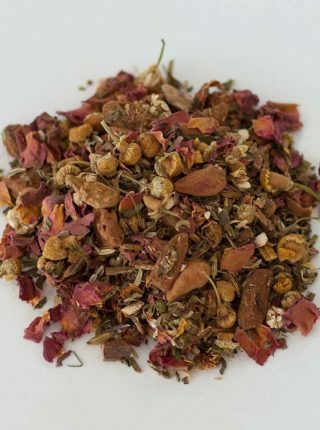 Rooibos and Rosehips round out this delicious blend to help sore uncomfortable joints & muscles. 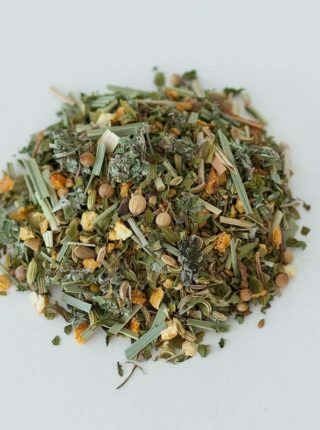 Turmeric Ginger Joint Support Tea contains Curcumin to fight Inflammation in the body – even more effectively when combined with Black Pepper for greater absorption. The other ingredients have been used for centuries for joints & arthritis support. 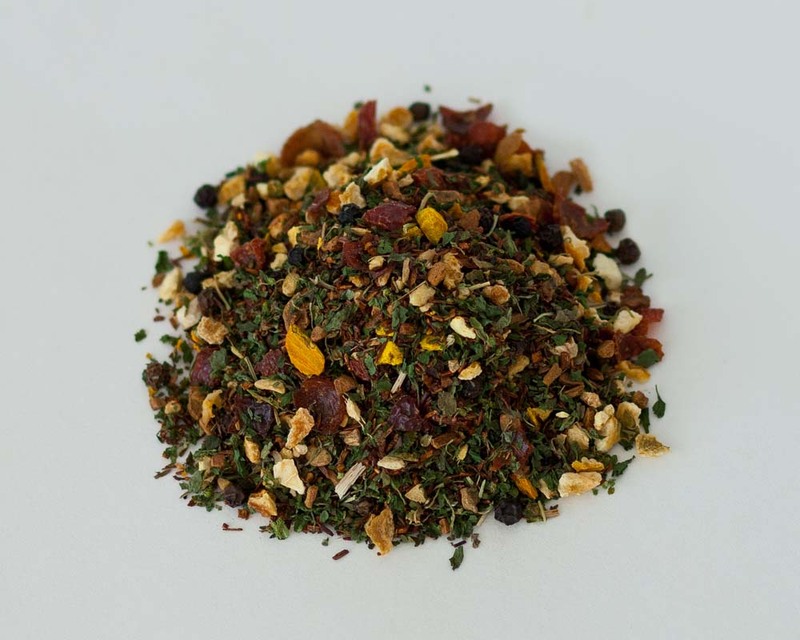 So why not drink to your health with a delicious cup of loose tea made with all Organic Caffeine & Gluten free herbs? THE DOCTOR IS IN – Dr. Rosemary is a nationally recognized Board Certified Acupuncture Physician trained in Traditional Chinese Medicine and Herbal Therapy. She is an avid drinker of teas and loves for EVERYTHING to be Organic whenever possible. She has painstakingly developed these recipes over the years for her patient base, and wants to share them with you and those that you love! We want you to be happy, and if you’re not, just let us know, and we’ll make it right, right away. Enjoy your FREE tea gift included in each package! Great Value because it makes between 30-50 cups depending on how strong you like your tea – you decide. 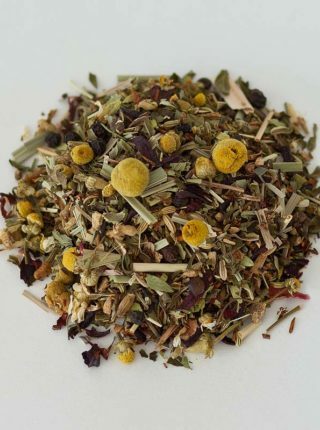 REJUVENATE, RELAX, DETOX, AND RENEW WITH THIS AMAZING HERBAL BLEND, TODAY.